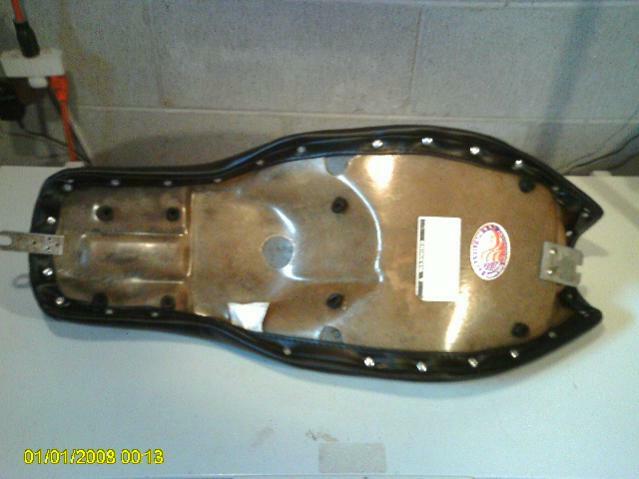 I have a Saddlemen Profiler Seat in great shape for a Harley. 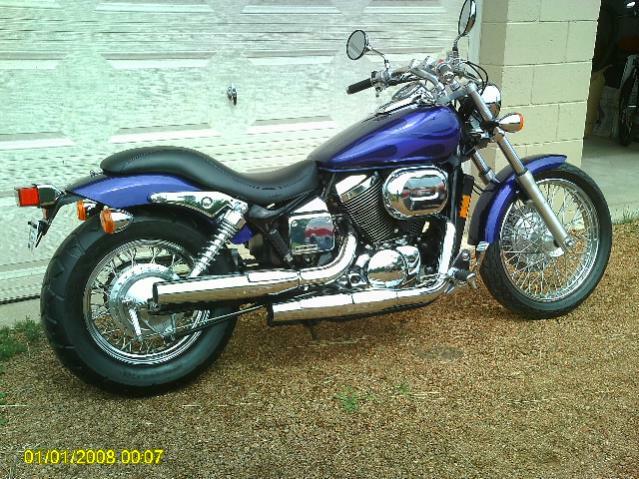 Trouble is I'm NOT sure what Harley models it fits. 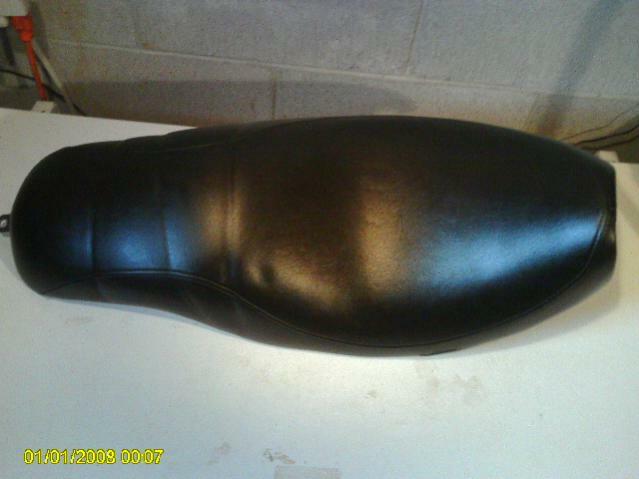 I did a hunt and search on the Saddlemen website and by looking at photos I am guessing at what it fits as follows. The tag on the back of the seat was removed by the PO. 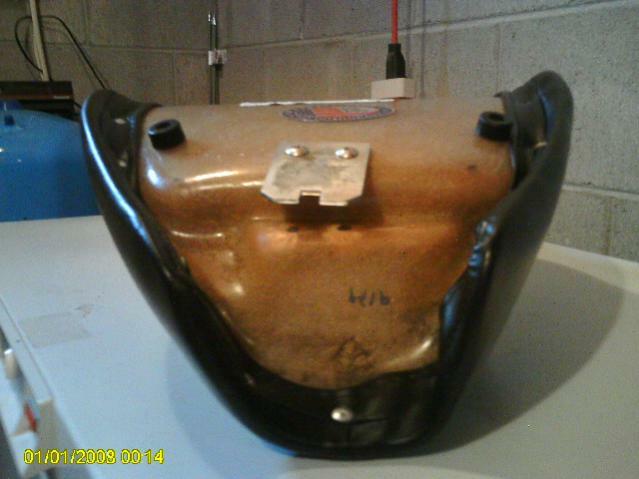 It might fit: FLHT/FLHR/FLH/FXR/FL/FX from years 58 to 96....NOT SURE! It may even fit other Harley bikes for all I know. 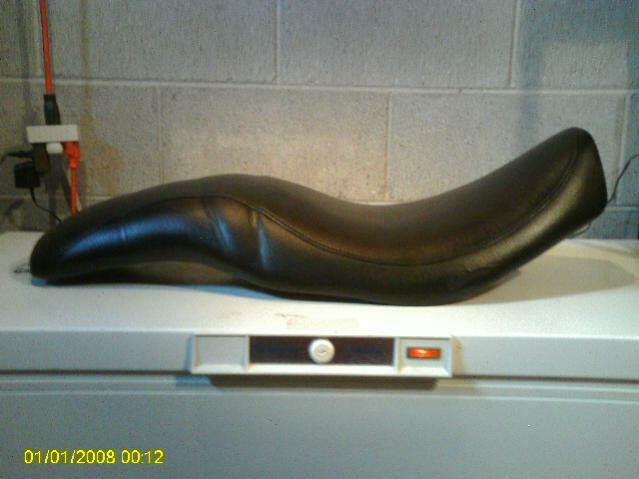 This seat was retrofit onto a 2003 Honda Shadow Spirit 750 I bought last year, (Saddlemen does NOT make a Profiler to fit my bike). It is not comfortable enough for my aging rear end and back. I recently bought a Mustang seat that doesn't look as good but is very comfortable for me. The front metal tongue on the seat was relocated by the PO to fit the Honda. This tongue can be easily moved back to it's original location IMO. You may notice some minor linear indentations in the rear portion of the seat in my photos. They are only from a bungee cord I had on it and they are diminishing now since I took the seat and bungee cord off the bike about a week ago. The seat measures 28" O.L., 12.25" at widest and 8" wide at passenger area. I am willing to take more measurements if need be. Seats like this retail for apprx. $250.00, I will take $85.00 with shipping included to lower 48 states only. Payment must be via USPS Money Order only. I refuse to use PayPal for my own political reasons. I agree that they offer a good service that protects the buyer and seller, but I do not agree with their stance on other important things. Therefore, I will not do business with them and put my money in their pockets. I have an excellent reputation on other forums and would be glad to give out that info at the request of serious potential buyers if need be. I have not had a big problem with buyers agreeing to send a USPS M.O. as payment in the recent past. THIS SEAT IS NOW SOLD. Moderator please lock this thread. Hole in fender from seat...now what?